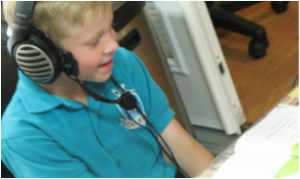 Samonas sound therapy improves the listener’s overall communication, including better articulation, ability to follow directions, organization, increased interaction, attention and overall learning. This state-of-the-art music and sound stimulation promotes a general sense of well-being. The benefits are numerous and the therapy itself is enjoyable and easy. Best of all, healthy sounds make for a healthy, available learner. This goes beyond grades and classroom performance; it impacts the quality of your child’s ability to not only hear, but comprehend what’s occurring around them. Within two to three weeks on the program, you will see a significant change in your child and an improvement in their auditory processing disorder. This groundbreaking program has a variety of beautiful, instrumental tracks (60+), with four levels of intensity that are customized to your child’s needs. Samonas utilizes the highest level of recording available to ensure the clearest quality of sound. Nature sounds are played intermittently or in collaboration with classical music to increase spatial awareness. This allows the child to discern where the sound is coming from: left, right, near, far, up, down, etc. These are skills imperative “to write on the line, solve a math problem…as well as for time planning and task management,” as stated by Ingo Steinbach, developer of Samonas. Its state-of-the-art techniques and customization make Samonas virtually untouchable by competition in the sound therapy market. At the Brain Zone, we encourage parents to consider Samonas as a cure for your child’s needs. Contact our learning center in Chino Hills for additional information or consultation about this breakthrough in auditory training.